We couldn’t help but get impressed when the Mercedes-AMG Project One concept was finally unveiled at the 2017 Frankfurt Motor Show. 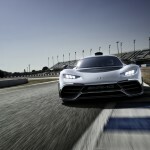 Mainly, it was because of the hybrid hypercar’s more than 1,000 hp output. 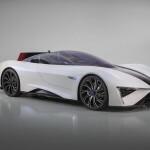 However, another hybrid supercar called the Techrules Ren seems to be poising to challenge it. Actually the Ren was introduced ahead of the Project One. 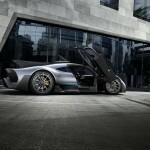 It came out during this year’s Geneva Motor Show. It was developed by the Chinese-based startup Techrules. 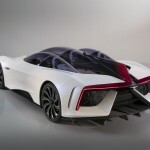 It has a very wild design, unusual hybrid setup and more than a thousand horsepower output. The Techrules Ren follows the modern shape of the present hypercars like the McLaren P1 and Porsche 918 Spyder, but with a mix of a futuristic touch into it. 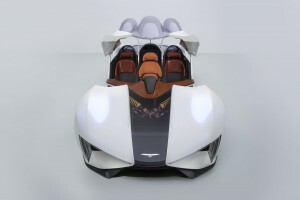 According to TopSpeed, Fabrizio Giugario, the car’s designer, said that the auto is defined by its fighter jet-style canopy and unique modular three-cockpit design. 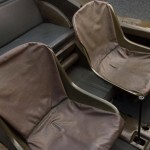 From the photos provided by the source, the driver’s seat of the car is flanked by the two passengers’ seats. Then, the upper enclosure of the car slides rearward similar to the canopy of a jet. Techrules describes it as a “one door body style”. 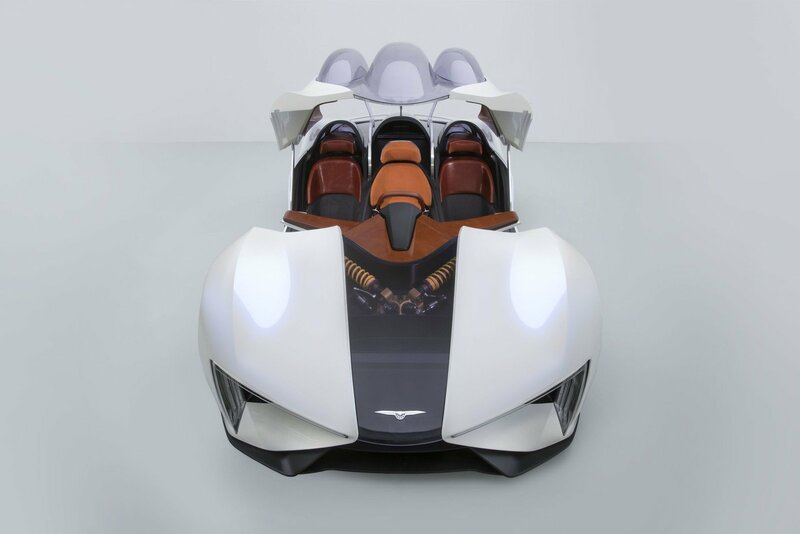 In front, the Ren’s nose is highlighted by its long hood and massive air intakes. 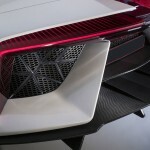 Behind it is a fin in the center, wide diffuser, tail lip, and huge air exhausts that resemble an aircraft’s turbine. 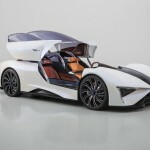 Techrules revealed that the car runs on its innovative Turbine-Recharging Electric Vehicle (TREV) powertrain. The turbines are powered by diesel fuel. 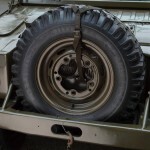 It produces electricity that juices the battery pack of the auto, which then drives the power rear wheels. 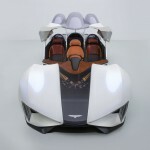 The automaker plans to offer two-, four-, and six-motor configurations for the car. The range-topping model of the vehicle promises to deliver up to 1,287 hp and 1,725 lb-ft of torque. 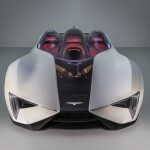 The figures are enough to propel the supercar from zero to 60 mph in just 2.5 seconds. Its top speed is about 200 mph. Techrules said that the electric range of the Ren will be 124 miles. On the other hand, its fuel consumption is around 31 mpg. Techrules stated that the deliveries of the Ren will start next year. Orders for it are already open for interested buyers. The engine truly works wonders in a car. After all, it is the heart of a vehicle. Despite its complex function, do you know how easy it is to dismantle it into pieces? The video above shows the teardown of a Mazda MX-5 Miata engine in a timelapse presentation. A video released by the YouTube channel “How a Car Works” demonstrates how the Miata engine was disassembled down to the valves, crankshaft, cylinders, timing gears, rods and other major components. Looking at it, it appears that tearing down an engine is fairly easy, given the right tools and working space. The video was made to promote the channel. As implied by its name, it features video courses explaining how a car works. So far, it has other videos showing the MX-5 Miata’s subframe and the operation of same car’s steering system. It looks like they either have a fondness for the MX-5 Miata or they are sponsored by a Mazda dealer. It is also likely that they are supported by the Mazda company itself. Going back to the power unit, the visible markings state that it is a DOHC 16-valve engine. According to Motor Authority, it might have come from UK-spec right-hand drive MX-5. The base model of the MX-5 Miata is powered by a 1.8-liter engine in the US. It is likely that the video shows the smaller 1.6-liter UK version of it. The output of the inline-four engine is estimated to be somewhere between 90 and 130 hp. Based on Mazda’s UK website, the MX-5 Miata roadster has a starting price of £18,795. It embodies the KODO design, which combines sportiness with stylish appeal. For two consecutive years, the Mazda MX-5 Miata has won the “Whatcar? Car of the Year” award under the “Best Convertible” category. The giver of the award is considered to be Britain’s top monthly car review magazine. 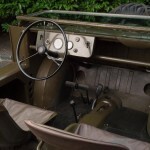 The Porsche 597 Jagdwagen was a limited edition vehicle. It was designed as a “hunting car.” It was light, thanks to its simplistic engineering, but the unit may cost more than a quarter of a million dollars nowadays. According to Autoweek, the 2019 Cayenne traces its roots back to the Porsche 597 Jagdwagen. 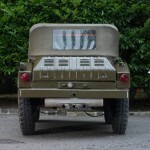 The name of the vehicle roughly means “hunting car”. 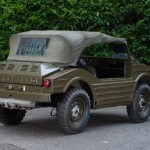 The auto was made during a NATO competition to create a light army-transport vehicle similar to the American-made Jeep. 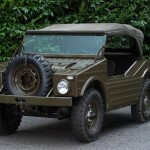 The Jagdwagen had a small design with a removable canvas roofing. 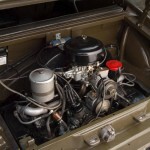 It ran on a 4×4 drivetrain and powered by a rear-mounted, air-cooled, four-cylinder Porsche 356 engine. There were two power units available for the auto. One was a 1.5-liter engine and the other was 1.6-liter engine. The more powerful 1.6-liter engine model of the 597 that was introduced in its later production stage was capable of producing up to 50 hp. All that power was distributed via a five-speed manual gearbox, which was a lot during its time. The top speed of the hunting car was at 62 mph. 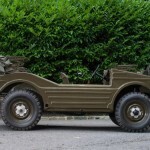 The source said that the Jagdwagen only weighed 2,182 pounds, which made it highly maneuverable. It could switch between a two-wheel drive and four-wheel drive setup on the fly. It had a climb gradient of 65 percent and it can float on water, making it amphibious. Unfortunately, after spending $1.8 million for the development of the 597, which was too much during the 50’s, Porsche lost the NATO contest to DKW Munga. However, the automaker wanted to capitalize on the project after their failed entry by rebranding the light vehicle as a hunting car. 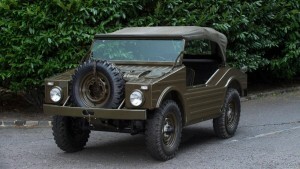 The Jagdwagen was produced from 1955 to 1957. Only 71 examples of it were ever made. At present, only 15 of it survived the test of time. The report claimed that the 1957 model of the 597 in the pictures below was sold at the Bonhams’ Goodwood auction last year for $235,331. Earlier that same year, the Jagdwagen sold as a 1958 year model previously owned by Jerry Seinfield fetched $330,000 at an Amelia Island auction. 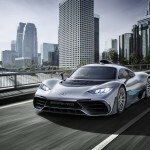 After much hype, the Mercedes-AMG Project One was introduced at the 2017 Frankfurt Motor Show. The hypercar concept aims to bring Formula One technology into our roads. 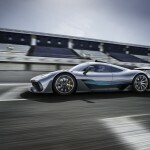 The Mercedes-AMG Project One concept borrowed many design elements from the hypercars of our generation. 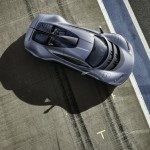 Its styling is reminiscent of the Pagani Huayra, but with a few cosmetic updates and aerodynamic upgrades. 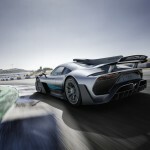 The mid-engined hypercar integrates the Sensual Purity design philosophy of Mercedes. Compared to the Huayra, the Project One has smoother surfaces that give it a luxurious appeal, which is the signature of Mercedes cars, while retaining its very strong sporty presence. The interior design of the Project One is a notch up from the sporty cabin of the Mercedes-AMG GT. 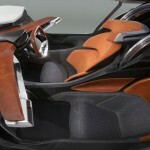 The hypercar has a two-seating capacity. 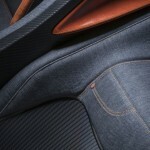 Its seats were made to resemble the sloping styling of the Mercedes AMG Petronas Silver Arrow F1 car’s seat. It has two screen displays too. The most noticeable element inside the car though is its steering wheel, which is heavily inspired by the one installed in the current Mercedes F1 racecar. 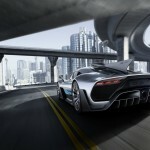 The Project One is defined by its overwhelming output. 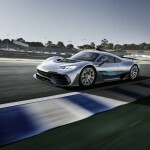 According to Mercedes-Benz, it produces more than 1,000 hp, thanks to its hybrid setup. It is powered by a petrol-fed 1.6-liter turbocharged V6 engine and four electric motors. The electric motors are located in the turbocharger, engine, and one each on the front wheels. An automated 8-speed manual transmission governs the power of the car. The engine of the vehicle has a rev that can reach up to 11,000 rpm. On the other hand, its electric motors on the front axle give it an additional 50,000 rpm and the shaft is capable of 100,000 rpm. 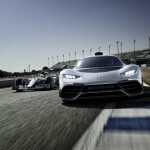 Mercedes claims that the setup of the Project One completely eliminates the dreaded turbo lag in cars. The resulting acceleration of the auto from zero to 200 km/h is only six seconds. 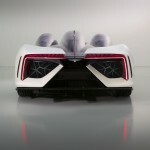 Its top speed can go up to a whopping 350 km/h. When it comes to Mercedes-Benz, it’s hard to think about it without elegance and style in the equation. Harder is to define the concept of a tall commercial van with something akin to the sophistication that the German auto brand is known for. The new Sprinter Van is a third-generation model of the large van that Mercedes has conceptualized for road trips and even cargo shipping. The rendering of the third-generation model was shown this week in Atlanta during the North American Commercial Vehicle Show. Last year, the Vision Van concept was unveiled, much to the delight of Mercedes enthusiasts. The idea of the Sprinter Van was to focus on autonomy, mobility, and even selling, leasing, and renting capacities to deliver cargo safely and with style. The rendering was a little bit too modern for the general taste, so Mercedes produced production models with a bit more conventional styling than expected. The production Sprinter has A-pillars that match the van’s color. 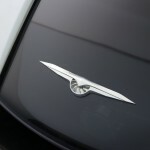 It also has more defined lines along the body and a more conventional grille. The “athletic” horizontal headlights look the same as the one found on the concept, but there’s no information yet whether the rooftop drones will come into fruition. There’s not much detail yet on what the Sprinter Van is offering exactly. 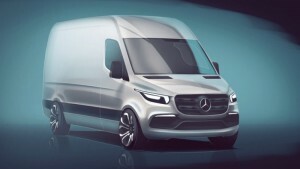 What Mercedes-Benz has been reporting is that the new Sprinter Van will feature new driver-assist and connectivity programs with telematic technology. This will allow the easier and more efficient management of vehicles. According to the German company, it has sold more than 3.3 million units of the Sprinter Van since it was introduced to the market in 1995. From January to March 2017, it posted a nearly 10 percent growth in sales as compared to the same period last year. 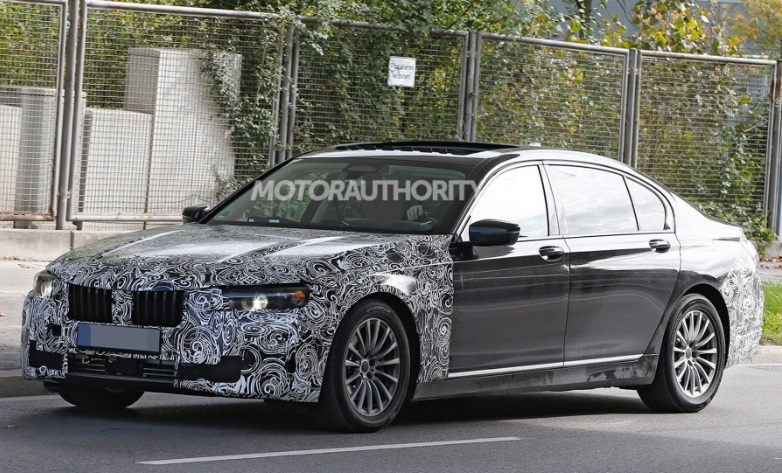 Maybe the current lineup of the BMW 7-Series is the most technologically-advanced, but experts and even BMW fans have pointed out their disappointment over the exterior styling and the rather boring interior. Remember, once the options have been added, this is a six-figure car. Even without those options, the 7-Series is luxury in every sense. People, however, are having a hard time differentiating it from the lesser 5-Series. Luckily, there is mid-cycle update happening right now and this will introduce substantial changes to the series. 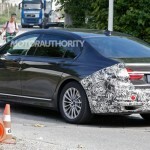 A prototype of the new 7-Series has been spotted by MotorAuthority while it was being tested around. 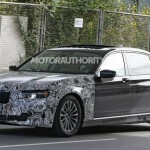 Although wrapped in camouflage, we can still see some of the updates we should expect once the new 7-Series arrives. 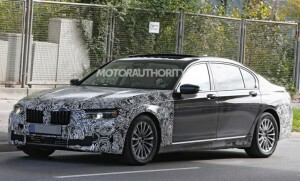 From what it looks like, the 7-Series will launch a new face with new headlights, a new hood, and a more imposing grille. These changes to the front end of the car will likely be more significant compared to the rear end, which will have a new pair of taillights. BMW wants to make the 7-Series more special, which means that passengers and the driver have to feel the luxury and elegance as soon as they enter the car. The interior will be made more plush and it will sit alongside the i8 and the upcoming X7 and 8-Series models. There will be updates on the tech, too. The Amazon’s Alexa voice assistant has been added to the new 7-Series, and we can expect to see it on all new BMW vehicles, most of which will debut early next year. 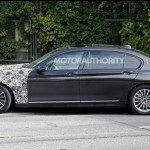 We might even see more advanced self-driving capabilities for the 7-Series since BMW is working closely with Here, Intel, and Mobileye for their self-driving technology. As for powertrain, there is no word on that, though we will see a second plug-in hybrid option together with the current 740e iPerformance. 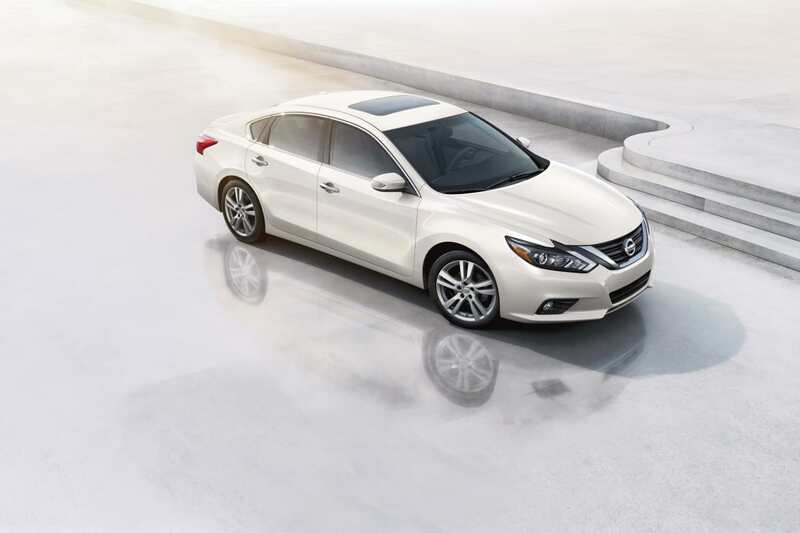 Last year, the Nissan Altima range had a lineup of about seven vehicles. This year, the Japanese automaker trimmed down the number to five, eliminating the base and the high-end models of the car. There are no significant changes in the remaining five models, except for some safety features that are now standard to all models. What safety features are we talking about? Automated emergency braking and forward-collision warning are now the standard features of all models while standard adaptive cruise control and NissanConnect, including navigation, Apple CarPlay, and Android Auto, will come with the top-level 3.5 SL. Since the base model was officially eliminated from the range, that means the new base model will be higher in price—about $240 higher, which isn’t at all much of an increase considering what you’re getting. The 2.5S will be powered by a 2.5-liter four-cylinder, continuously variable automatic transmission (CVT) combo that can produce 179 horsepower. It will sell for $24,025. The 2.5 SR, on the other hand, will be cheaper than last year’s model. At only $25,085, it will get a pair of smoked headlights and taillight housings. It will also come with fog lights, a decklid spoiler, a power driver’s seat, manual shifting capability for the CVT, paddle shifters, leather-bound steering wheel and gearshifter, sport-themed trim, a tweaked suspension, and a pair of special 18-inch wheels. If you are looking for more features, you may want to get your hands on the 2.5 SV, which will come equipped with adaptive cruise control, rear cross-traffic alert, blind-spot warning, Android Auto, and Apple CarPlay for just $26,670. Next up are the 2.5 SL and 3.5 SL, which aside from being leather trimmed, will come with a seven-inch touchscreen with navigation and heated steering wheel and front seats. The four-cylinder model will sell for $29,880 while the V-6 engine will have a price tag of $34,395. 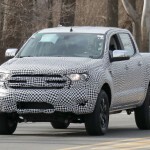 Prototypes for the 2019 Ford Ranger have been spotted, and spy photos prove that the new model will be an “extensive update” of the current model rather than being redesigned for a next-generation model. Ford enthusiasts will not miss out on the aesthetics of the current model since the “new” design will be all too familiar. The US version will differ slightly from the versions that will be sold overseas. 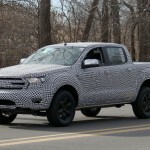 According to reports, the 2019 Ranger will differ mechanically and visually, though the size and shape should still be the same—based on a body-on-frame platform codenamed T6. The T6 platform is being used both by the current Ranger and the Everest model. Along with the new Ranger, Ford engineers are also working on a brand-new Everest. Most of the development are being handled in Ford’s Australian outpost. There is no word yet on what kind of engines we’ll see under the hood of the new Ranger. The current one is being powered with two diesel engines: a 2.2-liter inline-4 that can produce 158 horsepower and 284 pound-feet of torque and a 3.2-liter inline-5 with 197 horsepower and 346 pound-feet of torque. For the US market, it is more than likely that the 2019 Ranger will be offered in gasoline options. Yet, we’re still expecting for diesel engines to come and save the day. 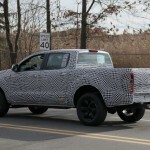 There are rumors that Ford is working on a new Ranger Raptor as well, but the American automaker has been very silent about the details. The powertrain will most likely be a detuned version of the F-150 Raptor’s 3.5-liter twin-turbocharged V-6. Will it be available in the US? We don’t have word on that yet. The 2019 Ranger will be introduced early next year. It will compete with the Chevrolet Colorado, GMC Canyon, Honda Ridgeline, Nissan Frontier and Toyota Tacoma. Since 2012, when it was first introduced, the Tesla Model S range has been subjected to a lot of changes. Aside from the mid-cycle update, the range also discontinued the smaller battery options and introduced the more powerful all-electric sedans. 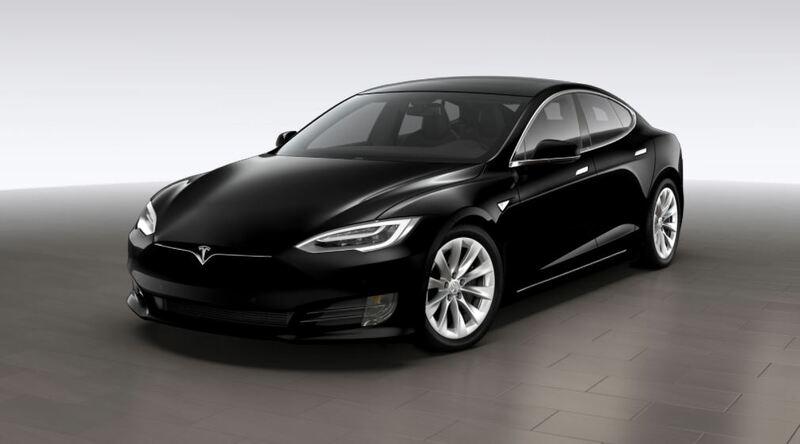 The Model S 40, Model S 60, and Model S 70 have already been pulled out from the stocks. Now, it’s time for the Model S 75 to make its final bow, too. That means the base model of the Model S will come down to the 75D, which comes with a price tag of $89,300. That’s $5,000 more than the current $84,300 tag of the Model S 75. Of course, this doesn’t mean you should shut out Tesla from your life. Though the vehicles usually come with hefty price tags, these did not account for the federal tax credit you can get, as well as the estimated gas savings over the next five years. The Model S, aside from the 75 D, will have the 100-kWh model, as well as the top-ranging P100D version. The exit of the Model S 75 from the dealers’ showrooms also means that starting next week, all Model S sedans will have the all-wheel-drive system. Why do you think Tesla is pulling the plug off its Model S 75? 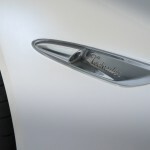 How streamlined can the Model S range get? The removal of the Model S 75 means that the Model 3 will remain to be the only choice you have if you want a single-motor Tesla. Elon Musk’s company’s move is reasonable enough if it really wants to separate the Model S range from the newly-minted Model 3. Instead of offering the Model S 75 as the base model of a performance-oriented range of vehicles, Tesla decided it would be more practical for them to simply market the Model 3 as simpler and more affordable. 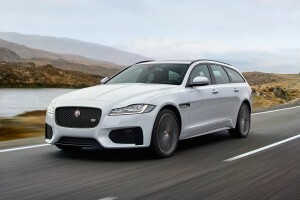 Those who want to own a Jaguar but cannot afford its skyrocketing price tags will have the chance through the Jaguar XF Sportbrake, which will be valued at a reasonable price of just $48,770. That’s pretty low for a car bearing the Jaguar name. If you want the wagon counterpart, you’ll have to shell out a lot more. The wagon version will cost a whopping $71,445 since it will only come in two high-equipment trim levels. No base model for this variant, unfortunately. In the “near future,” Jaguar Land Rover North American CEO Joe Eberhardt said that Jaguar enthusiasts can have the XF Sportback on a more reasonable price range. 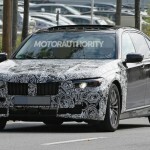 There are plans to produce more variants of the mid-size luxury wagon. There are no exact details yet about the XF Sportbrake, but all we know is that the wagon will have the most powerful and expensive powertrain in the XF lineup—that’s a supercharged V-6 engine paired with an all-wheel-drive system and can power up the vehicle up to 380 horsepower. To bring the cost down on the XF Sportbrake, Jaguar would have to use its new Ingenium turbocharged four-cylinder engine. For the sedan, the gas-powered four-cylinder will be available in two power capabilities—one producing 247 horsepower and the other churning up 296 horses. You may also opt for a diesel engine that produces 180 horsepower on a turbocharged four-cylinder as well. But if you’ve got the money to spare, you can wait for Jaguar’s flagship XJ and compact XE sedans. These are going to be a handful in the price department, though, since the tags are well north of $100,000 each. The XJR575, which can produce 575 horses, will go on sale later this year for $123,395. Aside from that, the full-size luxury sedan will also have an additional 105 horsepower over the next XJ model—the XJ Supercharged. The difference will allow the XJR575 to reach 186 mph. the XJ Supercharged an only do a measly 155 mph.